If you are missing all your teeth, or even just a few, your dentist might recommend dentures. They are custom made from an impression of your mouth. This ensures a good fit for comfort as well as functionality. There are two types of dentures: complete and partial. 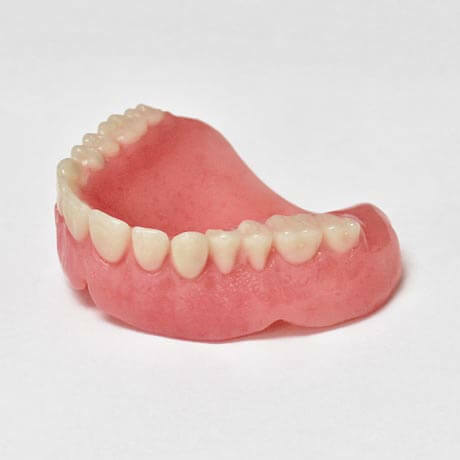 Complete dentures are used to replace an entire arch of missing teeth. They are made entirely of tooth and gum coloured plastic and are held in place by suction. There are two types of complete dentures: immediate and conventional dentures. Immediate dentures are made before your teeth are removed. This way you do not have to go any period of time without teeth. As your mouth heals, the gums and bone shrink. This means you will likely need to have your immediate complete denture relined a few months after your teeth are removed. A reline will help the dentures fit properly again so they don’t feel loose in your mouth. 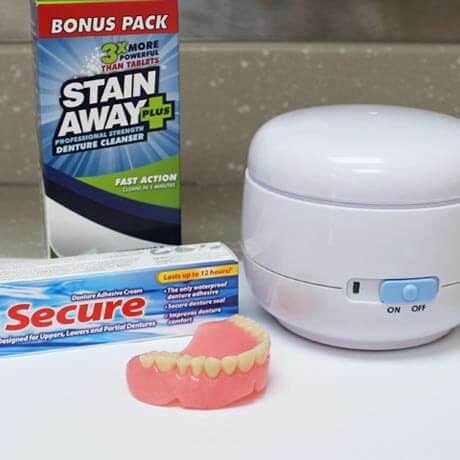 Conventional dentures are made after the gums and bone have had time to heal. The fit of conventional dentures is typically better, however you will be without teeth for a period of time while your mouth heals. If you are considering dentures, your first visit will be for a consultation. Your dentist will explain your options in detail anprovide you with an estimate for timeline and costs involved. Partial dentures are used to replace one or several missing teeth. They clasp onto your remaining teeth for support. Unlike a bridge that is cemented to your teeth, a partial denture is removable. 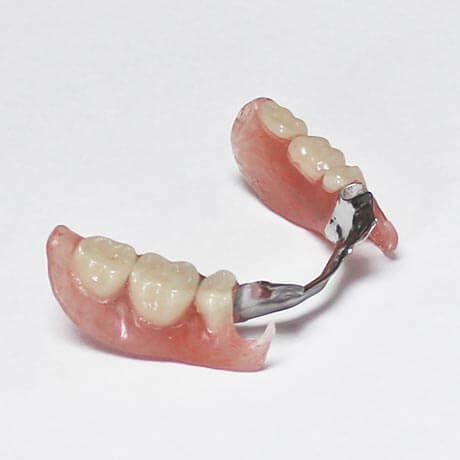 There are two types of partial dentures: cast metal and acrylic. Cast metal partials are made with an underlying metal framework. Tooth and gum coloured plastic is added to fill in the areas of missing teeth. Acrylic partials are made with a framework of gum coloured plastic. Denture teeth are added to fill in the spaces where teeth are missing. Metal clasps are embedded into the acrylic framework to clasp onto the remaining teeth for support. A consultation with your dentist will help you determine your best treatment option for replacing your missing teeth. Call to book your consultation today. Do you live in the west end of the Rainy River District? Consider our convenient sister location in Emo.